"Please Select What Color you Would Like Your Airhawk To be:" is a required field. "Which FREE Accessories Would You Like?" is a required field. "Would You Like To Include An Independent Charger?" is a required field. "Would You Like An Attendant Controller Bracket?" is a required field. "Would you like a FREE Extra Lithium Battery Pack?" is a required field. "Please Acknowledge Shipping:" is a required field. * Now Available In All Colors! The Electra 7HD Wide Chair is “The Worlds Widest Heavy Duty Folding WheelChair” because it has a 21″ Seating Area AND Holds Up To 400lbs! *Which FREE Accessories Would You Like? *Would You Like An Attendant Controller Bracket? *Would you like a FREE Extra Lithium Battery Pack? 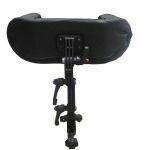 Would You Like To Add An Adjustable Headrest to Your Order? Would You Like To Add Leg Extensions to Your Order? Travel Approved for Airplanes, Cruise Ships, Trains and More! Introducing The WIDE Electra7 HD (Heavy Duty) Lightweight Power Folding Wheelchair. Weighing just 50 lbs, the Electra7 HD gets you where you need to go! Designed to easily fold up in less than a single second, and narrow enough to fit through almost any doorway, the Electra7 HD is perfect for indoor use, outdoor adventures, and travel. Not only does the Electra7 HD come with TWO Batteries standard (yes, we give you a free battery for a total of two batteries with every order) it also comes with accessories and much more. You can find all the facts about the Electra7 HD WIDE Portable Wheelchair on this page, including a frequently asked questions section, travel documentation, videos and even testimonials from satisfied customers. If you have any questions about the Electra7 HD Folding Power Wheelchair, or would just like to speak with someone before ordering, please call our toll-free number at the top of this page or use the chat feature on this web page! With an amazingly small turning radius and the ability to go in all directions (forward, back, left or right) with the all new Sensi-Touch Joystick, not only can you drive your Electra7 HD 21″ Wide Wheelchair with just one finger, you can also navigate your Electra7 HD into tight spaces that require sensitive turning abilities! With a durable weather resistant finish, driving the Electra7 HD WIDE Version outside is simple. Rain or Shine, you can get to where you need to go. The Electra7 is able to go up hills, go down hills at the speed YOU want (because of the smart electromagnetic braking system) and travel about twice as fast as an average person walks when the speed is full tilt! Additionally, you can travel up to an impressive 30 Miles with the batteries on a single charge, so you don’t have to worry about being stuck far from home. Another great feature of the Electra7 HD is that it uses smart power technology. When both batteries are in the chair, it will draw power from both batteries simultaneously. When just one battery is loaded, the chair will still work perfectly. There are no cords to switch, buttons to push or anything else needed in order to control the power usage of the batteries. The Electra7 HD Wide Version takes about 1-second to fold up into the size of a medium suitcase that can quickly and easily be stowed safely in the trunk of almost any car. At just 50 lbs, the Electra7 HD’s easy-lift design makes it simple for even people who are moderately disabled to maneuver with ease into the trunk of a car. Not only is the Electra7 HD light, easy to manage and perfect for trips that are long distance – it’s also travel approved! The Electra7 HD comes with TWO (one is FREE) 6ah Non-Spillable Lithium-Ion Batteries. You can take your Electra7 HD on airplanes, cruise ships, trains, public transportation and in taxi cabs (or with Uber or Lyft). With the Electra7 HD Wide you can easily get out and go places. Life is too short to stay indoors when family and other fun gatherings can literally be right at the tips of just one finger, which is all it takes to control the sensi-touch joystick controller. * The Electra7 HD Wide Folding Power Wheelchair weighs just 50lbs without the batteries. * The Electra7 HD Wide Holds Up To 400 Lbs! * The Electra7 HD Wide is constructed from 7003 Aerospace Aluminum Alloy, Making it One of the STRONGEST Lightweight Power Wheelchairs Available Today! * With The Simple flip of the red switches, located on the back of the chair near the motors, The Electra7 HD Wide can Instantly become a manual pushchair. * The Electra7 HD Wide Comes with a charger that can handle international power supplies, so you can charge your Electra7 HD Wide Anywhere in the world with electricity! * The Electra7 HD Wide Comes with Long Lasting Hi-Tech Lithium Ion Batteries that are designed to be charged up to 1500 times before needing replacement! * The footrest requires almost zero effort to fold up so it is out of the way for easier standing and taking a seat from the standing position. Once seated, lowering the footrest is totally effortless! * The Electra7 HD Wide Power Wheelchair comes with flat-free tubless wheels as a standard FREE upgrade that are perfect for absorbing shock, staying clean (they are not gray in color, which shows dirt) and lasting up to 12 years without wearing out! * The Electra7 HD Wide is engineered for power, durability and the unique ability to travel easily in slightly uneven terrains, such as dirt roads, grassy knolls and more. 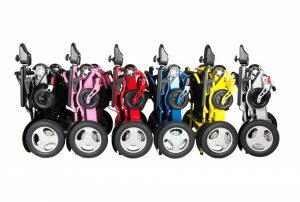 If you have been shopping around for a lightweight foldable power wheelchair for a while you may have noticed that very few vendors make it a standard practice to include an extra battery without charge. The Electra7 HD Wide comes with a second battery FREE of charge. All you have to do is click the box indicating that yes, you would like a FREE BATTERY. The smart travel cover included with your Electra7 HD Wide was designed specifically for smart use with the Electra7 HD Wide. What we mean by smart use, is simple and functional use! Not only can you protect your chair from wear and tear that sometimes happens with travel, you can also easily use the handle and pull your Electra7 HD Wide through the airport, cruise ship or wherever you choose to travel with it, all covered up!!! Under Seat Basket Included Free! Each Electra7 HD Wide Power Wheelchair comes with an element resistant, under seat basket that will not get wet. This valuable storage is useful additional space. When you are out and about, you never know what you may wish to hold and carry with your Electra7 HD Wide! Your Electra7 HD Wide comes with a sturdy, flexible cup holder that will hold cans, bottles, and cups of various sizes due to its insta-adjust feature. Hot coffee, room temperature water or even a cold adult beverage, your Eletra7 HD Wide Cupholder can accommodate them all. Additionally, you can quickly and easily clamp your cupholder on various areas of your chair for your convenience. The Electra7 HD Wide now includes a FREE safety belt so you can strap yourself in for enhanced security. Bumps, sharp turns or even speedy driving can be done with a greater sense of comfort and control when you are safely buckled up in your chair. Now you can easily tighten, loosen and feel confident about your ability to always have the right tools on hand if you ever decide to tinker around with your Electra7 HD Wide. Please, note the kit pictured is different than the set of tools you receive with your chair. Night or Day, your path can always be illuminated when you are operating an Electra7 HD Wide. The flashlight holder is a standard accessory that lets you attach a light to your chair and even holds it at just the right angle for you to easily see the road ahead or even focus on spaces you want to be illuminated. With the additional boost of a powerful horn, you can be certain to remain visible! With the insurance of the Orange Safety Flag that comes as a FREE accessory with your Electra7 HD Wide chair, you will not have to worry about being seen as you are traveling on a sidewalk, or crossing a road. The Safety flag is easily visible and protrudes higher than parked cars or many other variables that could prevent you from being seen as you are driving. Stay safe and stay happy! One Full Year In-Home Service Limited Warranty. Your new wheelchair comes with a full One Year In-Home Service Warranty. Stop worrying about who would repair your wheelchair or how you would get your wheelchair to them. This warranty has you covered! 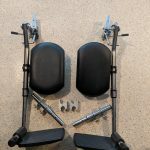 In the event of a validated warranty issue, We will send a trained professional repair technician directly to your home, or we will make arrangements to ship the chair to our location in the event your wheelchair should need repair. We cover the entire United States. Just Call Us, Or Submit a Trouble Ticket in the event of a need for service and we will take care of it for you! Free with the purchase of this wheelchair. This Oxygen Tank Holder will hold almost any size tank. The chart shown on the left indicates with a red arrow all tank sizes this tank holder will accommodate. Also included free are all items listed below. The great thing about the oxygen tank holder that comes with the Electra7 HD Wide is that is can be used for both holding oxygen tanks, or general storage! The sturdy holder slips over the back of the chair and is perfect for additional storage while staying completely out of your way! With the luxury of a car charger, you can charge your batteries on the go in case of an unexpectedly low charge or need to charge! The car charger plugs directly into your cigarette lighter and allows you to plug the charger directly into the battery of your Electra7 HD Wide while the chair is in the trunk! You can keep it in your car, just in case! Best of all, it’s FREE and comes with your chair. When you are out and about, or even in your home keeping belongings such as your phone, keys, wallet and other smaller items close to you should be easy. With this simple to attach arm bag that comes FREE with your order makes keeping the small things you want close, close to you! We think of the small things that make a big difference so you don’t have to. If you like to travel, chances are you will love the fact that you can plug your Electra7 HD Wide chair into any outlet in the world without having to consider that different countries have different voltages! Just get a plug adapter and you are all set to travel anywhere in the world. This comes free with your order. The Electra7 HD is available with optional Attendant Control Bracket allowing a health aide or attendant to move the controller from the arm to the back of the chair. This provides the ability to operate the chair while walking behind the chair and patient or handicapped individual in the wheelchair. Some handicap individuals are unable to operate a wheelchair themselves. For that reason, the optional Attendant Controller Bracket is available. Price = $178. At the factory, before the WIDE VERSION Electra7 HD is shipped out, each power wheelchair is tested to make certain it meets all the quality requirements. Every chair MUST make it to the top of the slope without hesitating or showing stress. Once you order your Electra7 HD it takes about 4 -8 days until it arrives at your front door! Each and every Wide Version Electra7 HD is handled and packaged as if it were expensive, yet delicate fine China Dishes that were being shipped. Can I use my insurance to pay for the chair? Do you offer financing so I can make payments? Yes. Financing is done through Time Payment. There is a green box just under the “Add to cart” button for each item we offer financing on. You can apply and get an answer instantly. Outside of the USA, you can select to use PayPal, which may also offer financing. When you are on the checkout page and ready to pay for your order, you will have the ability to select PayPal as a payment method. You can find out return policy on the Terms page, but here is the simple version. You have 15 days from the date your chair is received, return your chair for a twenty percent restocking fee. In order to return your chair, you would be responsible for the shipping costs (to our United States location). You would also be charged for any shipping charges and customs fees we incur to send the chair to your location. If you want to return a device, you would need to contact us for an RMA number and then you will be provided additional details. Is there anywhere where I can test drive the chair before I buy it? In short, no. We are a FACTORY DIRECT arrangement. When you purchase a WIDE Electra7 HD, it comes to you from the factory. There are both pros and cons to this type of shopping. Perhaps the greatest benefit is that you get to cut the middleman with high overhead, and operational expenses out of the equation (The brick and mortar business) so you can save approximately $3,360.00 on your purchase! Brick and mortar stores will not stock Electra7 HD Wide Folding Power Wheelchairs because they are not able to mark it up as much as they would like. When you think about it, if you could go to a local dealer who sold this chair with all the accessories that we give you for free, for over the chair’s retail of $6,607.00 – and liked it, you would definitely purchase it from us and save over $3360.00! For that reason, retail stores will not stock the Electra7 HD Wide. On the other hand, the biggest downfall of factory direct shopping is you make a purchase without getting the benefit of first doing a test drive. What is your Warranty like on this chair? Again, to keep things simple and basic, it’s easy – and all the details are on the Terms page. If the chair happens to break with normal use, we will honor it with a TWO-year limited warranty. Normal use is you are driving the chair and it decides to stop functioning as it should. On the other hand, if you abuse the chair, we will not buy you a new one. We consider abuse things like driving the chair into deep water, dropping the chair or running it over with a car. Assuming something happens as a result of normal use, we will send you a new part – as almost everything that could possibly go wrong is very easy to fix with the toolkit that comes with your Electra7 HD Wide and about 10-15 minutes of time. There is nothing complicated about this chair when it comes to doing a repair or maintaining it. How long does it take to get my WIDE VERSION Electra7 HD once I order? It takes about seven days (unless the chairs are on back order) to receive your WIDE VERSION Electra7 HD, no matter where you are in the States and Canada. When these chairs are in stock, you can expect to have a UPS tracking number between 2-3 Business days after placing your order. Is there any assembly required for the WIDE VERSION Electra7 HD? The Electra7 HD comes fully assembled! All you need to do is open the box, remove the contents and enjoy! Simple as 1-2-3! “This message is to the kind staff at Quick and Mobile. 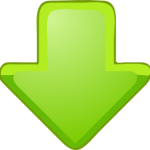 You are welcome to share this email as a testimonial if you would like. Being a larger man was great when I was younger and more athletic. As I have matured, carrying what can be thought of as extra weight has become increasingly difficult. I’m not able to walk that far without needing to stop and rest. As you may be able to imagine, this has affected many areas of my life. “I had been searching for a great deal of time for a chair that would be suitable for getting around in the city. Even though I am nowhere near the weight limit for the Electra7 I was smitten by its features and frankly, I wanted something sturdy to get about with. I received the order in 12 days and found the entire assembly and setup process to be simple. “First, I would like to thank you for providing an internet website with a lot of information. You would not believe how many other companies I looked at that gave hardly any information and or completely irrelevant information. When I called my mind was almost made up based on the information presented on your web page, but I’m old-fashioned and still needed to speak with a real live person before placing my order. I was very happy to know the color I wanted was available and that you were able to provide tracking information too. The chair works wonderfully! Thank you again. “Ordering from Quick N Mobile was easy. I found the information they provided before I ordered to be helpful and the information they sent after the chair was shipped was just as useful. Getting the chair set up was simple. Attaching the accessories was just as simple. The videos they made helped to detail the process so I could see it in action before doing it myself. The Electra7 HD works better than I thought it would. Thank you. Electra 7 is a great chair. So easy to fold and put in the back seat of my truck or the trailer. I and my wife went to 3 shopping centers on the first day using the new Electra 7 and it handles just great. Toggle switch makes steering a breeze. Thanks for selling me the right mobile chair. I just love it. ALL measurements provided are from the manufacturer have been converted from metric system to imperial system and provided by the manufacturer and therefore approximate. We cannot be held liable or accountable for differing measurements of any product shown. Please be advised that measurements are contingent on where the product is measured and can vary depending on how the product is measured. All sales are considered final. Please reference our terms page for information about returns. We welcome any and all phone calls about any of our products, whether it be questions or concerns. Thank you for understanding. Quick N Mobile.